Hand thrown white earthenware, glazed and finished with matt white dots. 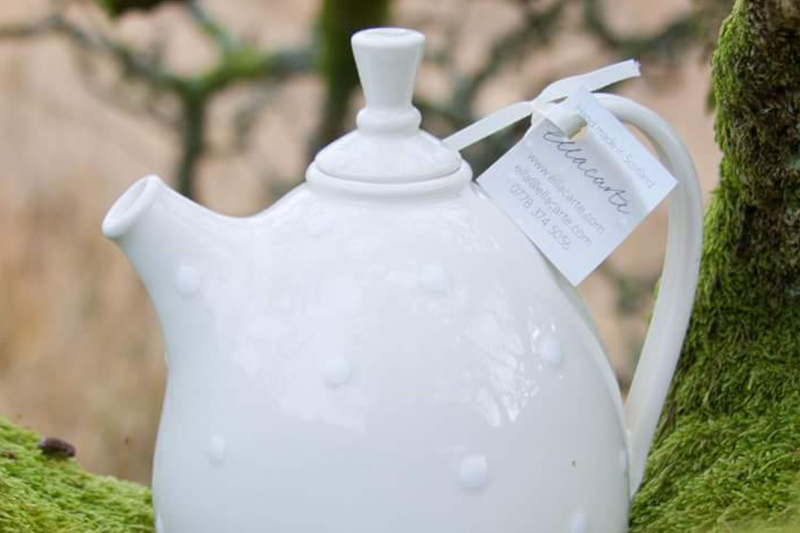 Suitable for two cups of tea, a classic piece from ellacarte. 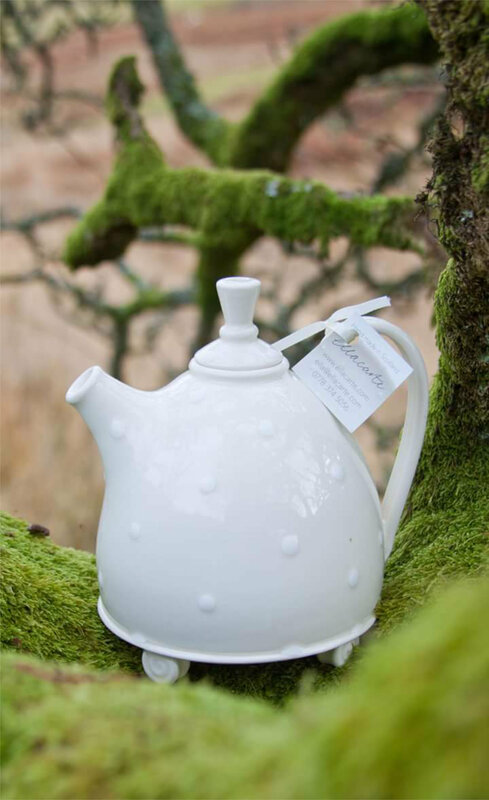 Available with accents of cream and runny crackle raised dots, see tiny teapot.